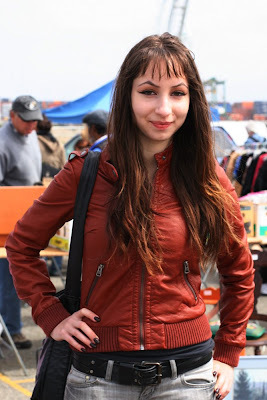 "I like stuff from the 60s and 50s, that's mostly the clothes that I'm drawn to. 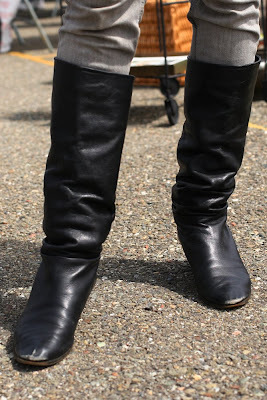 But this is new and these boots are old, they were my Mom's." 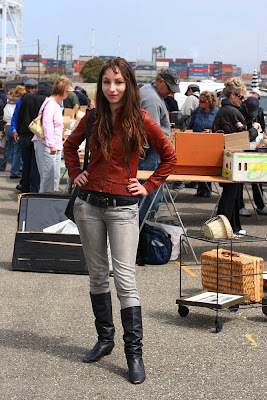 Something about her small burnt orange leather jacket and those gray jeans. Ah but it's the eyebrows that really make the look!